It should have been clear weeks ago that Fultz wasn't right. 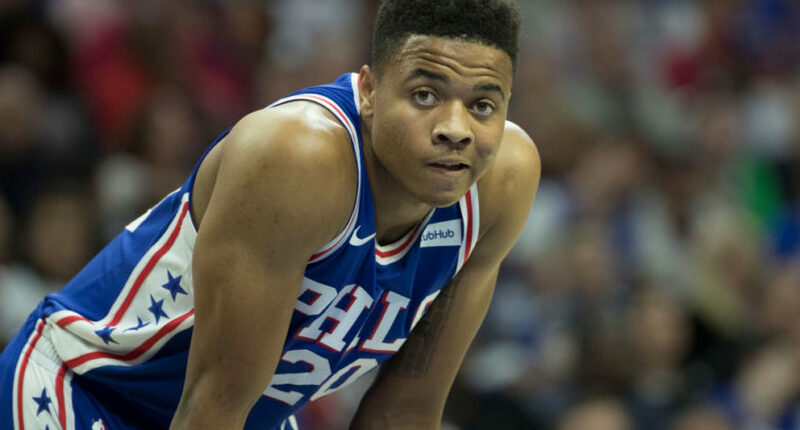 On Sunday afternoon, the Philadelphia 76ers announced rookie point guard Markelle Fultz is out indefinitely with a shoulder injury and will be evaluated again in three weeks. The injury — which the team says is not structural — is the same one that caused Fultz to struggle with shot in his first few NBA games, when he missed six of 12 free throws, including some ugly clunkers, and shot 33 percent from the field. Last week, Fultz’s agent said the rookie had the fluid drained from his shoulder, then said he had fluid added to his shoulder, while the Sixers offered no clear prognosis. It began to appear that the team had no clue what was going on. Now that the team has confirmed Fultz has a somewhat serious injury, it’s fair to wonder how they failed to shut him down earlier. All it took was a glance at the guard’s shooting form to know that something was wrong. Small sample size, but Markelle Fultz is shooting just 29.2% from the floor and 40% on FT’s this preseason. thought markelle fultz played well last night, considering the shooting/shoulder thing. Sixers general manager Bryan Colangelo said last week that the team never deliberately attempted to change Fultz’s shot and that it was the rookie’s decision to play through his injury. Of course, even if Fultz asked to play (and it’s easy to see why he would), the team had the right to tell him he couldn’t. To let the No. 1 overall pick play with a noticeable injury — in a semi-rebuilding season, no less — seems downright irresponsible. If the injury, as it turned out, was significant enough to force Fultz to miss weeks if not months, why was he cleared to play in the first place? Obviously, the Sixers are a little self-conscious about their history of having No. 1 overall picks (Joel Embiid, Ben Simmons) miss significant time with injury during their rookie years. And clearly Fultz was itching to hit the NBA court to start the season. But how could no one have pumped the breaks a bit when the guy was incapable of shooting a free throw? Anyway, Fultz will now miss some time, as the Sixers slog through what should be the last down year in their rebuilding process. Then he will presumably return to enjoy a productive NBA career. Unless, that is, the Sixers continue to bungle this situation until the poor rookie loses his confidence, his shoulder or both.